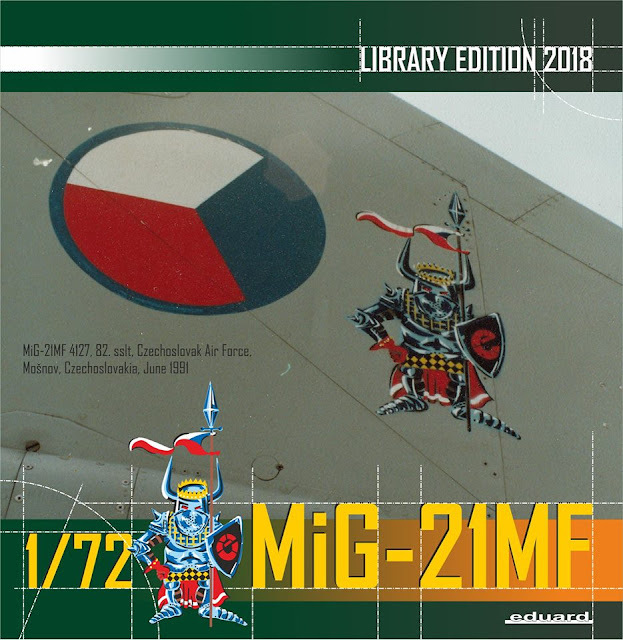 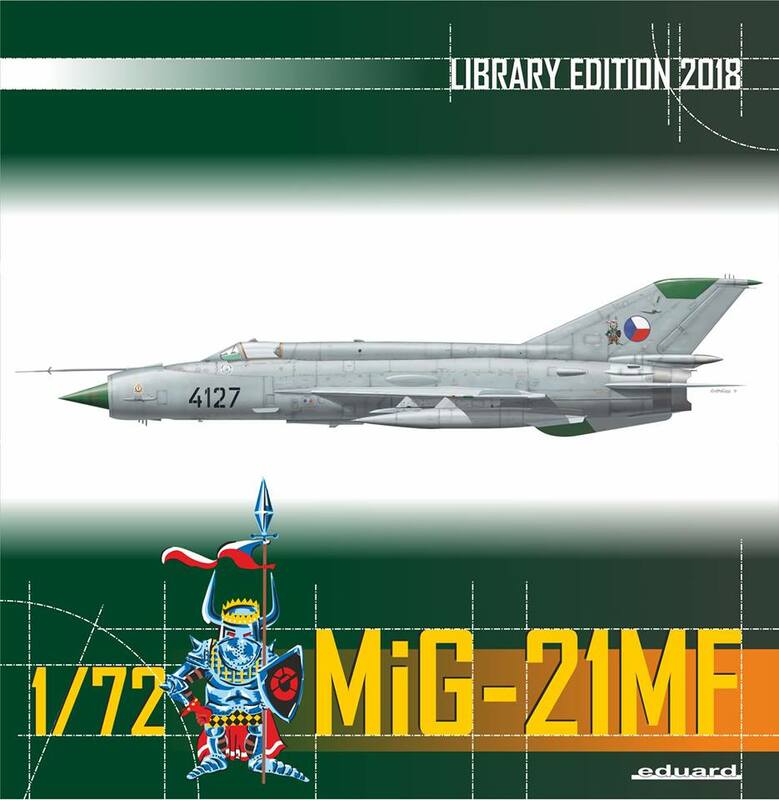 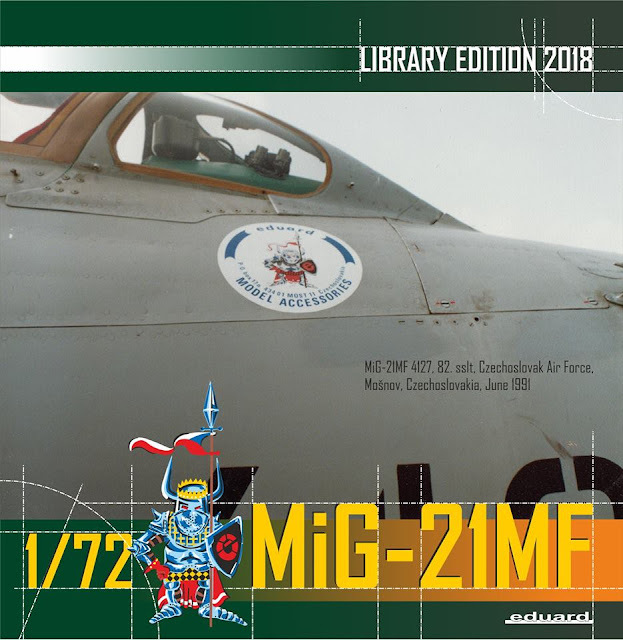 Pre-release Library Edition of MiG-21MF in 1/72 scale can be ordered NOW! This special Library edition gives you chance to have your brand new 1/72 MiG-21MF for one month earlier than the premiere ProfiPACK! 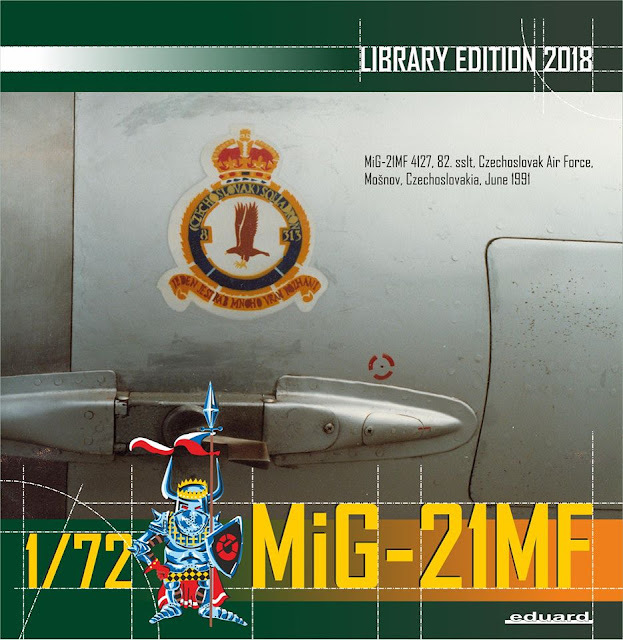 Kit covers marking of No. 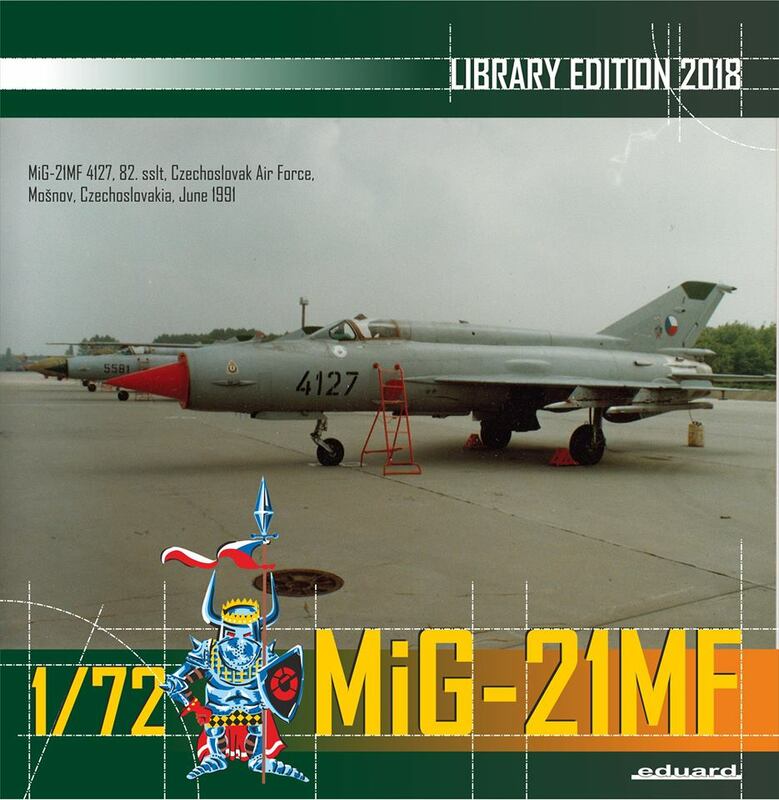 4127 of the Czech Air Force, wearing the Knight emblem of the Eduard company. Kits will dispatch after 2nd of April 2018. 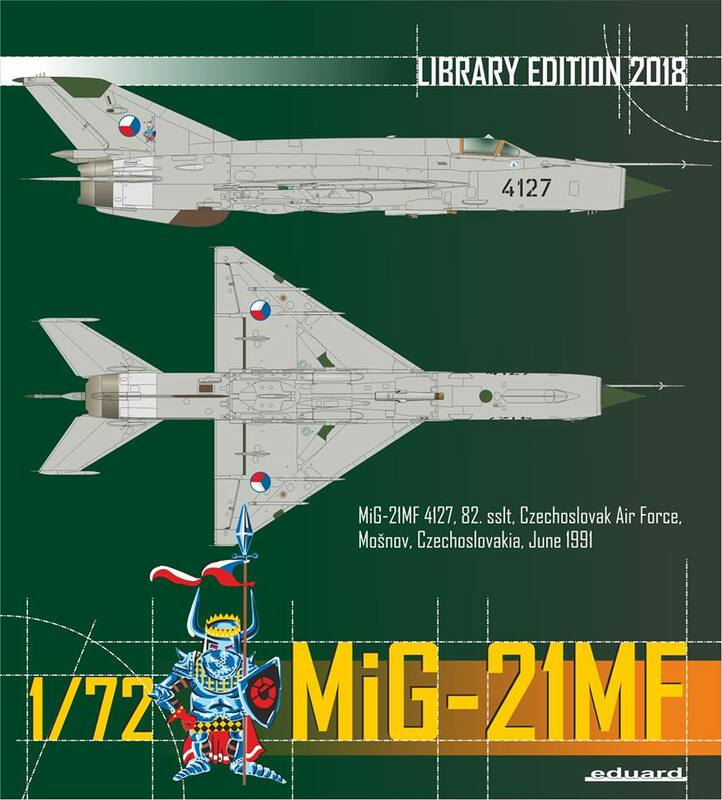 - resin parts: yes, wing & fuselage pylons, R-3S missiles with adapters.